Alan Clews back in the early years. Just shy of his 80th birthday, famous motorcycle designer Alan Clews passed away on May 2, 2018. Clews, the founder of CCM motorcycles made a lasting ipress on the the Grand Prix circuit as the Bolton, England, firm built some legendary four-stroke machines. Alan, who had started CCM 47 years ago with the launch of the Clews Stroka motocross bike, was still working at CCM before he was taken ill and passed away on Wednesday. 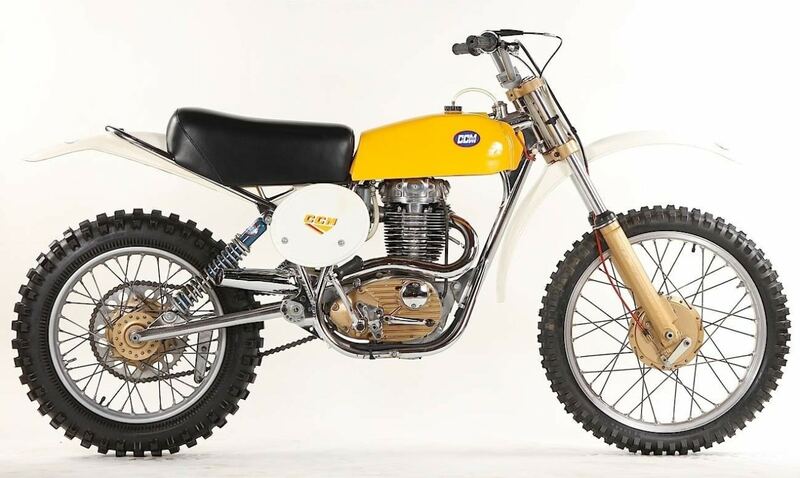 CCM (Clews Competition Machines) was founded in 1971 out of the collapse of BSA’s competition department. Alan Clews, founder of CCM, was a successful trials and scrambles rider in the late 1960s. 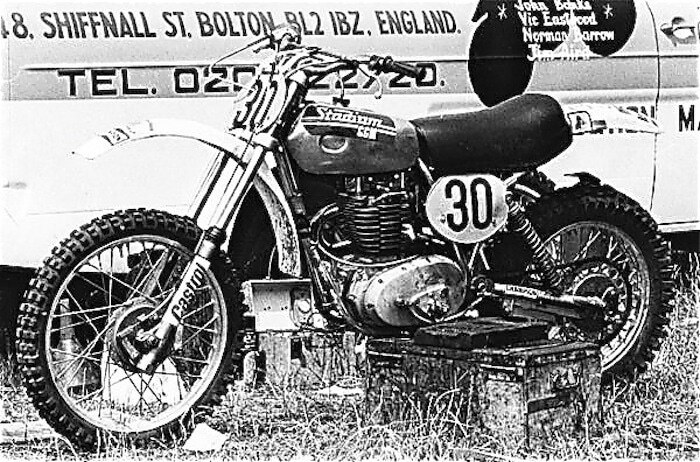 He wanted a lighter, more nimble and modern motocross bike, like a BSA factory-engined 500cc works specials—so, after BSA closed the doors on its factory motocross team in 1971, Alan Clews began developing his 490cc “Clews Stroka” based on the BSA B50 engine—which Clews snapped up when the factory went under. Under Clews, CCM would initially make a 500cc and 608cc engines. CCM greatest success came in 1974-75 when John Banks and Vic Eastwood raced on the CCM team. 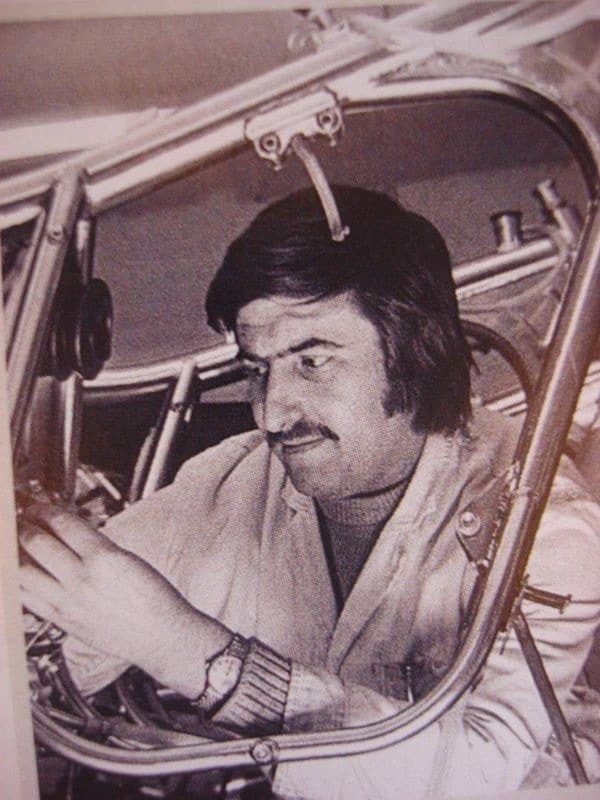 Banks scored in the the top five in the 500 World Championships five-times through the mid-1970s. Donnie Schmidt came out of retirement, in what would be his last race before succumbing to leukemia, to win the 1995 World Four-Stroke Championship on a CCM. 1976 CCM 500MX. Clews lost CCM in 1980 when it was taken over by the Armstrong company, but bought it back in 2005. CCM did briefly return to the FIM 500 World Championship in 2009 with a Dave Thorpe-managed team consisting of Tom Church, Jason Dougan and Ray Rowson (using Yamaha engines). 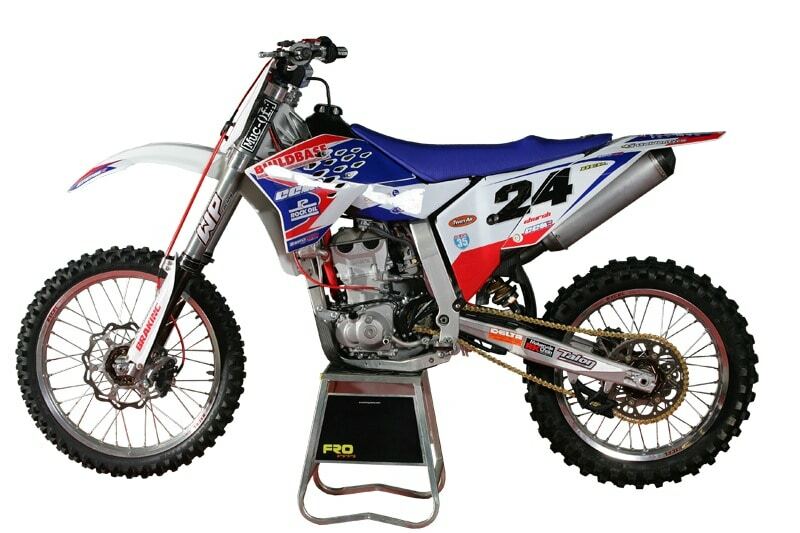 The 2009 CCM Grand Prix race bike—with Yamaha powerplant. Today, CCM survives by making dual bikes and military bikes— Alan Clews was working on the 600cc Spitfire street bike at the time of his death. The company, which is run by his son Austin Clews, vows to finish the projects that Alan Clews had started. 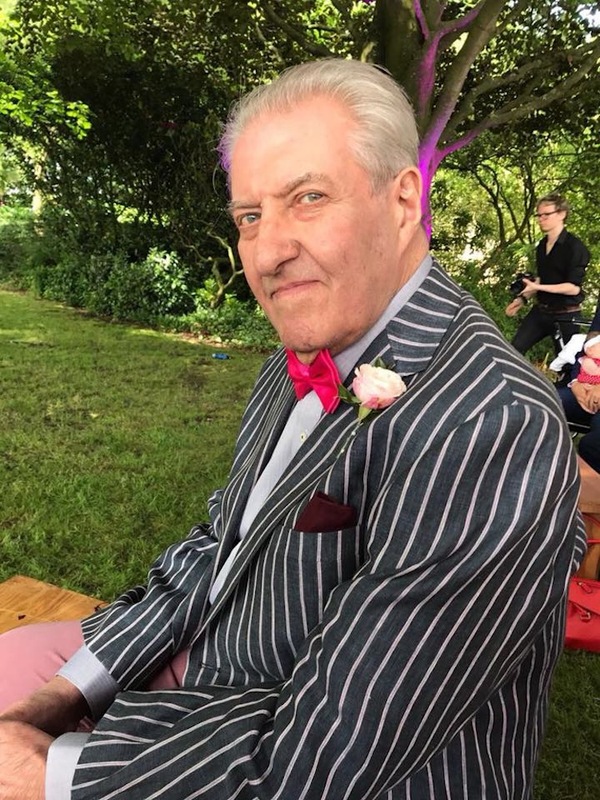 The funeral will be held on Thursday, May 17, 2018, at 1.00 p.m. at the Holy Trinity Church in Hoghton, Preston, England. All welcome.